A subtle, finely calibrated work….Hard Choices is a statesmanlike document…with succinct and often shrewd appraisals of the complex web of political, economic and historical forces in play around the world, and the difficulties American leaders face in balancing strategic concerns with ‘core values.’ The tone is calm and measured, with occasional humorous asides, like describing an offer by Vladimir V. Putin, the Russian leader, to take Bill Clinton along on a polar-bear tagging expedition. 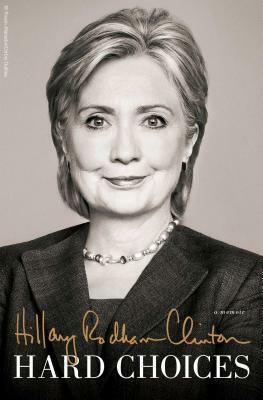 [A] clear and at times riveting account of Hillary Rodham Clinton’s four years as secretary of state….The book bolsters her reputation as a strong “representational” diplomat who carried the flag to 112 countries. But the meaty middle of Hard Choices does something more than chronicle the frequent-flier miles: It provides evidence that Clinton displayed good judgment as secretary of state and understood some important issues earlier than her boss, President Obama…..[O]nce Clinton gets rolling, she does what’s most valuable in this kind of memoir, which is to take readers inside her meetings — sketching portraits of the world leaders with whom she did business…..Perhaps the most revelatory passages in the book involve the secret diplomacy that led to the November 2013 interim nuclear agreement with Iran. Hard Choices is a richly detailed and compelling chronicle of Clinton's role in the foreign initiatives and crises that defined the first term of the Obama administration — the pivot to Asia, the Afghanistan surge of 2009, the ‘reset’ with Russia, the Arab Spring, the ‘wicked problem’ of Syria — told from the point of view of a policy wonk… it's also mercifully free of the bromides that mar most campaign biographies. The book teems with small, entertaining details about her interactions with foreign leaders.